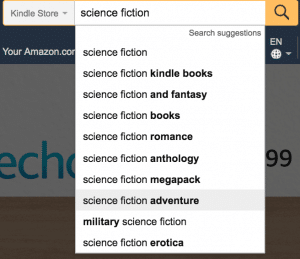 Unsure which keywords you should target for your book advertisements in Amazon’s Marketing Services? Struggling to find the recommended 200-300 keywords for your AMS campaigns? 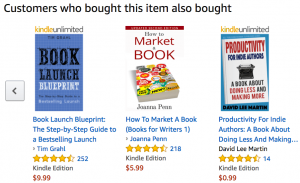 Want to avoid the common mistakes authors make when getting started with advertising on Amazon? Not to worry. We will cover how to overcome all of those obstacles right here. If you need an introduction to what AMS Book advertisements are and how to setup your first AMS campaign in as little as 10 minutes, check out this Kindlepreneur AMS Advertisements for Books post first. Today’s article includes advanced tactics for how you can find hundreds of profitable AMS Keywords exactly for your book and your campaigns. 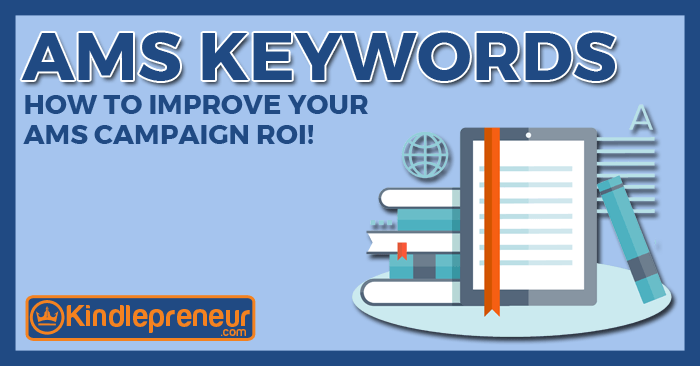 Keywords are absolutely critical to your AMS Campaign success. Select the wrong keywords and you could lose time, money, and loads of potential readers. 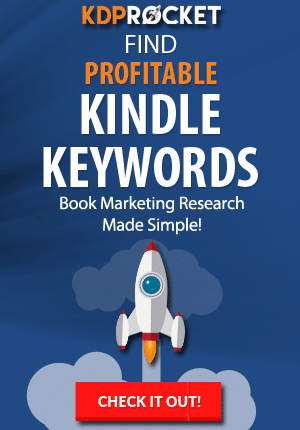 Select the right keywords, and you could see your book sales skyrocket for a long, long time. AMS Keywords are the words you want your book to show up for when a shopper types them into Amazon. Based on what kind of ad you’ve selected, Sponsored or Display, your book will show up for that particular keyword search result or product. If you target words that no one ever types into Amazon or if you target books that no one ever sees, then there will be no opportunity for Amazon to show your ad. This leads to zero impressions and zero sales. That’s why it’s important to ensure you have keywords that shoppers actually use. However, selecting something too competitive will cause problems as well. 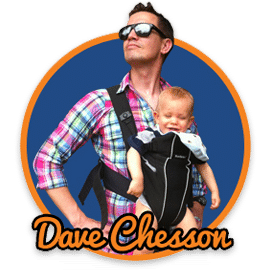 If you choose a term that thousands of people type into Amazon every day, you’ll be competing with hundreds of big time publishers, self-publishers, and even merchandisers for that term. This will either make your Cost Per Click SUPER high or your ad will never show up. Aim for 200 to 300 AMS keywords. Selecting only a few perfectly fit keywords likely won’t get you enough impressions to make the campaign profitable. Like many others, you might discover that some of your most profitable keywords end up being something you never thought was directly correlated to your book. While KDP prohibits other book titles and author names as Kindle keywords, the AMS rules are different. In fact, targeting other book titles and authors is not only allowed in AMS, but it is a wise and recommended tactic. There are specific steps you can take to find valuable keywords for each of these categories. You will probably want to get an Excel sheet ready to organize your keyword results. I will warn you… it is a time-intensive project if you do all the keyword research manually. However, it can be done in about two minutes if you have KDP Rocket. I’ll show you below using KDP Rocket’s brand new AMS Search Feature. The steps below show you exactly what to look for and how to find the perfect AMS keywords for your Amazon book advertisements. Your goal is to create a list of words that your target market would type into Amazon if they were looking for your type of book. Got your spreadsheet ready? Here we go! Step 1. List any terms that come to mind that would describe your book. Start a list of the most common and basic terms that describe your book topic and genre. Think of common phrases people use to describe your genre, the themes and topics in your book, and what your book offers its readers (information, entertainment, etc.). Tip: Make sure to use Google Chrome’s “Incognito Mode” so Amazon doesn’t use your account’s information or previous searches when showing you suggestions. You don’t want to taint our results with your own information, but instead get the raw information from Amazon. Extra Tip: Select “Kindle Store” in Amazon before you search, so the suggestions will be more book-focused. Start typing the phrases you listed in step 1, and Amazon will present you with suggestions based on real customer searches. If any are a good fit for your book, write them down. Then type one of your terms followed by an “A” and see what Amazon suggests. Erase the “A” and type a “B,” and so on through the alphabet. Write down those keywords Amazon suggests that match your book topic well. This makes sure you find even the most specific terms to use in your AMS ads. Step 3. Use synonyms and misspellings. Another strategy to generate more keywords is to use synonyms and common misspellings of the terms already on your list. A good benchmark is to have at least 50 keywords on your list at this point. If you don’t, repeat these 3 steps and see what else you can come up with. 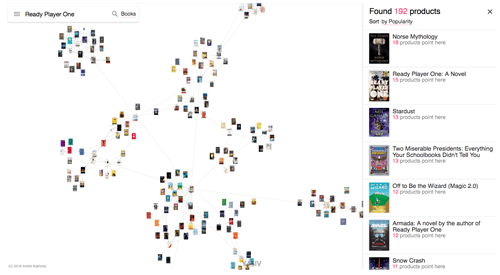 Next, you’ll start adding keywords related to similar book titles and authors. After you have at least 50 descriptive phrase keywords, you’re ready to move onto other book titles and authors. These are the keywords people type in when they have a particular author or book in mind. Type your best descriptive terms into Amazon and click search. Amazon presents a list of books. Add each book title, series name, and author name(s) to your list of keywords. Click on the books you think best represent your book. Copy the titles, series names, and author names of the books that appear in the “Customers who bought this item also bought” section. Next, click on the pertinent categories of those books to see the top 20 books in that category. Add these book titles, series names, and author names to your list. You can even click on the next page and copy the information for the books that rank 21-40 to find more keywords. To the right of the top books in each category are the “Hot New Releases” for that category. Click on this and copy the title, series names, and author names of the top 20 books here. These are usually a keyword gold mine because they are new, they don’t have much competition in AMS yet, and they are in the middle of their big launch period. This equals a high number of impressions and low competition. Repeat steps 2-4 for all other pertinent books from step 1. At this point, you should have at least 200 target keywords on your list. Now that may sound like a lot of copying and pasting, with extra steps. But, they’re very important to helping authors actually get their book in front of readers. It’s seriously as easy as 1-2-3! Step 3. Click “Export” and all the data will be placed in an Excel sheet for you. 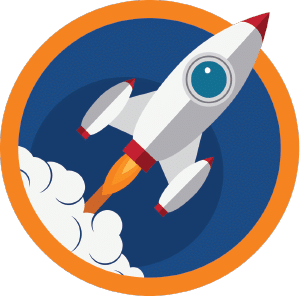 If you are selling or planning to sell books on Amazon, this new AMS Search Feature on KDP Rocket alone will pay for itself many times over with the hundreds of targeted keywords it can find for you, not to mention the massive amount of time it will save you. You can create your AMS campaigns fast then get back to the fun part–writing! The above steps can really help get your campaigns going. However, after working on my own projects, as well as others, I’ve learned that there some extra steps that have really helped to produce extra return. Go to GoodReads and type in the names of some of the popular books related to your book. After selecting a book, scroll down until you see “Lists with this Book,” then click “More Lists with this Book.” This will show you lists of books based on some kind of theme that users created. Look for lists that REALLY speak to your target audience and use any new book titles and author names from this list for your AMS keywords. You can also use popular cultural events to help your campaigns. For example, during political elections, there is a list of new keywords on people’s minds. See if you can make any of these relevant to your book. Popular book awards for your genre is another thing to consider when building your keyword list. Many readers love finding that next “award winning” book. So the Hugo and Nebula Awards are perfect keyword targets for Sci-Fi Military writers. Look into the awards that exist in your genre or niche. You can also look for popular movie titles in your genre–especially new and upcoming ones. 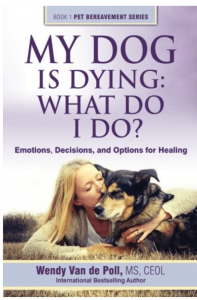 Here is a great example: Wendy Van De Poll, a self-published author who writes about dog loss grief, used the movie title A Dog’s Purpose as one of her AMS keywords when the movie came out. This innovative thinking to find a popular search term with little competItion led to a very profitable campaign for Wendy. These books can be great keywords for your AMS keyword list, as well as give you ideas of other books to investigate and focus on in your campaigns as well as your sales copy. By having the knowledge to create a massive list of popular and profitable keywords for your AMS campaign, you are now far ahead of most authors. All it takes is implementing the steps here to get your campaigns running, so you can watch your Kindle book sales climb. Remember, you will want to find 200-300 keywords to start, both descriptive terms as well as similar book titles and author names. These keywords are critical to your book advertisement success. And to get this job done right, THE absolute best tool to find AMS Keywords is KDP Rocket. 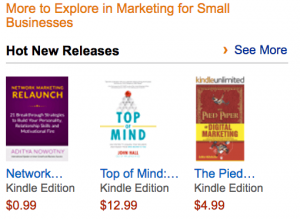 Want even more information about optimizing your AMS campaigns to sell more books on Amazon? Sign up for my completely FREE, full course AMS Advertisements for Books before it’s gone.